Leaf stripes vintage wallpaper with intertwining ivy leaves in Green with Rose colored accents. 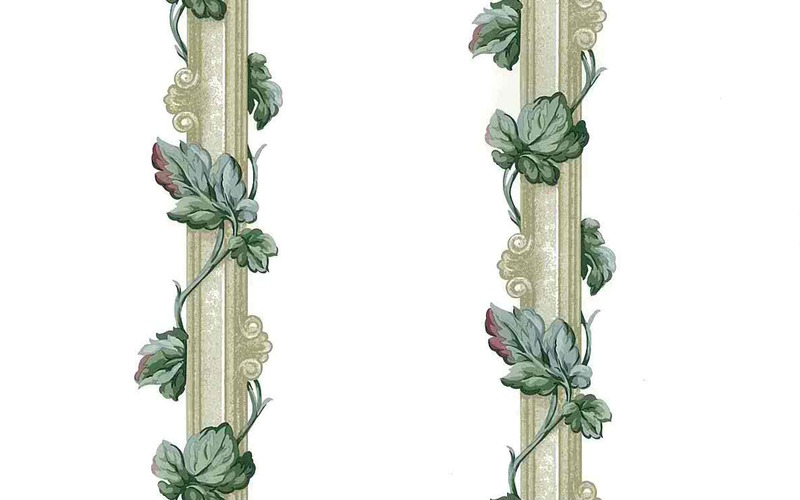 The leaves wrap around decorative columns in Taupe and Beige. All on an Off-White background. Ideal for a Foyer or Dining Room. Order all 18 Double rolls and receive an additional FREE partial Double roll.